Should you worry if you don’t have a fancy meter? You’ve decided to cut the cord but you don’t want to spend a lot. Or maybe you’ve just decided it’s time to upgrade your satellite system but you don’t want to bring out a tech. 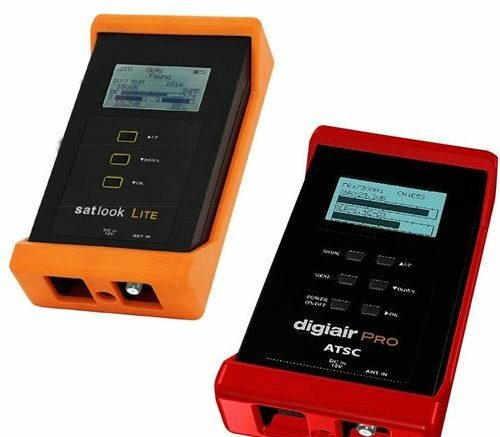 At Solid Signal we love the DIY spirit and that’s one of the reasons we stock a lot of signal meters. A good meter will let you figure out exactly what you need to do to get the best reception. I’ve written a lot about meters in the past because I love knowing exactly what signals are coming in. That’s one of the reasons I work at Solid Signal. But can you make do without an expensive signal meter? Look, obviously I’d love it if you bought an expensive signal meter. Profits from Solid Signal pay my bills obviously. But I’m the first one to say, buy what makes sense to you. If you’re looking at spending $300-$500 for a meter and you aren’t going to use it more than once, it’s going to blow the whole equation of doing it yourself to save money. What should you do? If you’re willing to put up with some frustration you can make do without a signal meter. You won’t get the same precise results but you’ll get some idea of what you’re doing without spending a lot of money. Aiming a TV antenna is pretty easy because you don’t have to be super precise. Most TV antennas will work the same if they’re as much as 15 degrees off axis. Plus, with digital signals, the raw signal power isn’t as important as the noise, so you’ll find most TVs are more tolerant of a poorly aimed antenna. I used to send people to a web site and recommend the have a compass with them, but recently our friends at Winegard have made it easy. They released a new app which will actually show you where the antennas are in augmented reality. You hold your phone up and the towers show up in the camera view. Very cool. You might want to make some tweaks to get the best results, but just going to the site where the antenna is and using this app is going to make it pretty easy. Aiming a cell booster can be a no-brainer. Many cellular booster kits come with an omnidirectional antenna that doesn’t require aiming. If your antenna looks like this (below), it’s omnidirectional. An antenna that looks like this (below) is not. If you do need to aim the cellular antenna, because it’s further away and you want the best result, check out a site like cellreception.com which will show you a map of all the cell towers in your area and who owns them. From there it’s a matter of finding the right tower for you and using a compass to aim the antenna. Like TV antennas, the aim doesn’t have to be as precise as you would think. Aiming a satellite dish is one of the harder things you’ll do. Generally you have to get a good aim on three or more satellite locations at once and this means moving the dish itself on three different axes to make it right. You can start with the recommended aiming instructions on the receiver. Both DIRECTV and DISH will give you a good starting point to aim with. You’ll need to get familiar with how to aim a dish, but there are a number of excellent videos out there. However, those numbers are just a starting point. 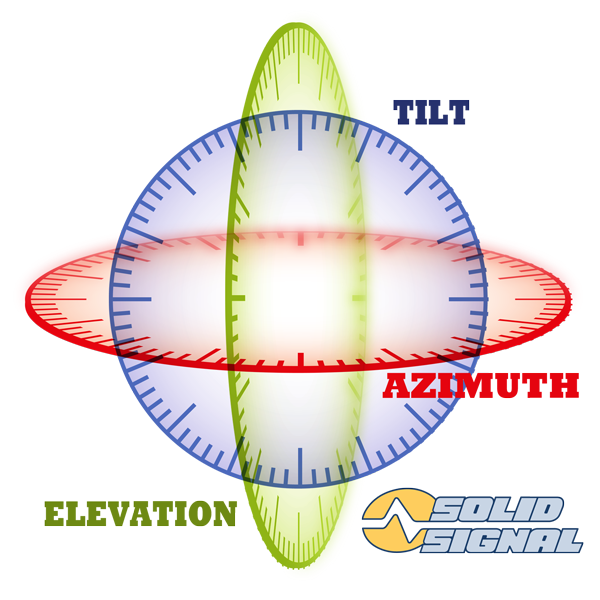 You’ll need to adjust the azimuth first, then the elevation and tilt, to get the best possible signal from all possible locations. The receivers themselves have built-in signal measurements but they aren’t exactly easy to use. For one thing, it can take up to a minute for any changes you make to register. Also, and I’m just generalizing here, most people do not have a TV up on the roof. In order to fix that I would use two cell phones, one pointed at the TV and one with you. You can use Skype or Facetime or whatever to get an idea of what you see on the screen. Just be careful not to forget that you’re on a roof. Spend too much time looking at the phone and you might end up looking at the ground, then looking at a hospital. Just saying. If this is the only time your going to be doing something like this, I guess it would probably be ok not to invest in a meter that you’ll never use again. On the other hand you will end up spending a lot more time. If that’s a good bargain for you, then skip the meter. If not, check out the great selection at Solid Signal. Is free TV worth what you pay for it? Can This Little Amplifier Solve Your DIRECTV Whole-Home Issues?